In the years prior to 2002, I never thought I was going to go on this chase. It was really far across the globe, totality was only going to be 30 seconds at best and I figured the chances of seeing the eclipse were minimal. 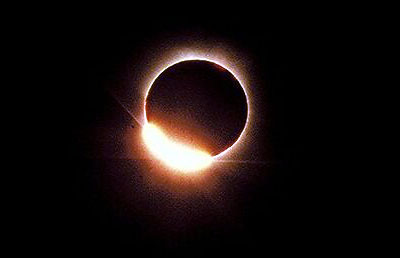 I could opt to see the eclipse from Africa instead but I knew I was going to Zambia in 2001! 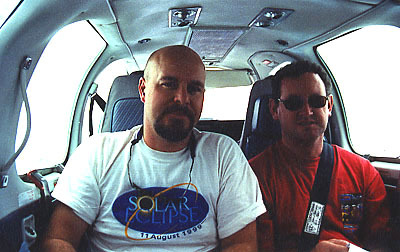 Then, in late December 2001, when most eclipse chasers were licking their wounds from having been clouded out in Costa Rica, I had a pre-Christmas dinner with a couple from Sydney, Australia. She was an old friend, he was a pilot. 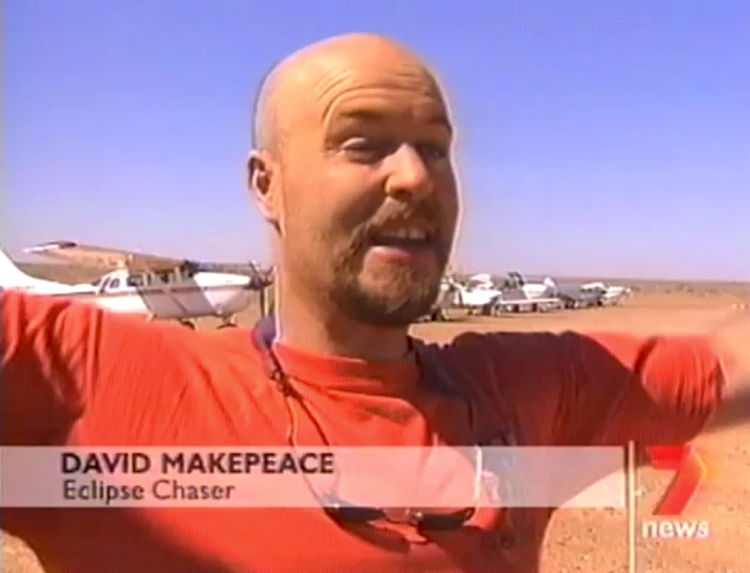 They offered to put me up and organize a private flight into the Outback to see this eclipse. I thought about it for 5 seconds and agreed to their terms! Planning to execute this chase took the entire year. Even while I was in Puerto Vallarta chasing the annular eclipse at sea I had the Outback on my mind. 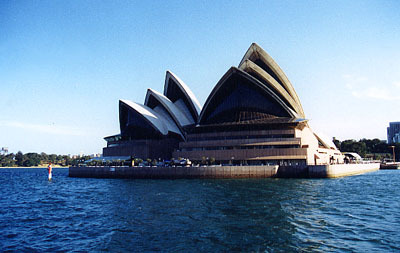 In mid-November, 2002, I flew to Sydney and spent a week getting to know the city. 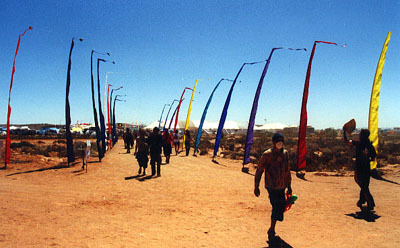 I had always wanted to visit Australia, and after the Olympics in 2000 the desire was even stronger. Then I flew up to tropical North Queensland – to Port Douglas – to visit the Great Barrier Reef and to take part in one of my favourite activities – snorkelling!! This is one of the most exciting and beautiful parts of the world. Our catamaran docks at the station on the Agincourt Reef, 90 minutes out from the coast. 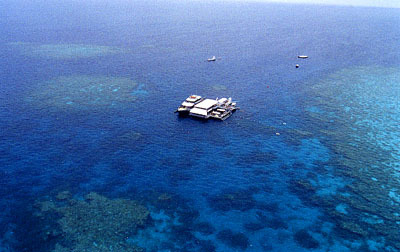 This shot was taken during my helicopter flight over the Reef. 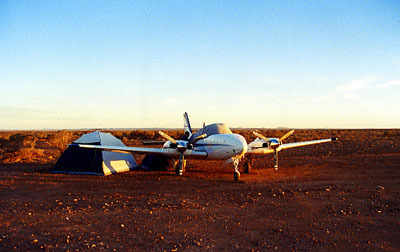 By 30 November I was back in Sydney preparing for the once-in-a-lifetime experience of flying into the Outback to camp on a dusty airstrip. Being a devoted eclipse chaser takes me to places I would otherwise never go in a million years. 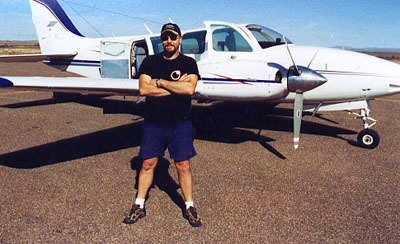 eclipseguy poses with the trusty Baron 58 used to get into the path of the total eclipse. Five adventurers left Sydney on 01 December and took a leisurely 3 days to get to the eclipse site – stopping everyday at a new Outback town to explore the local culture and get a sense of one of the most alluring and remote regions on this planet. 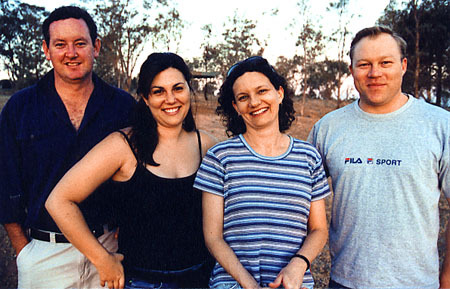 We visited the wineries and citrus groves of Griffith – spent the night in an underground cave attached to an opal mine in White Cliffs – and joined hundreds of other eclipse chasers with eclipse fever in Leigh Creek. At 9,500 feet eclipseguy enjoys the ride with eclipse first-timer George Macarthur. If the thought of hopscotching through the Outback in a small plane scares the hell out of you, then you wouldn’t have enjoyed this trip! Personally, I can’t get enough of this stuff. It seems that if I am chasing an eclipse, I am willing to do almost anything. Plus, I have way more fun than most people! 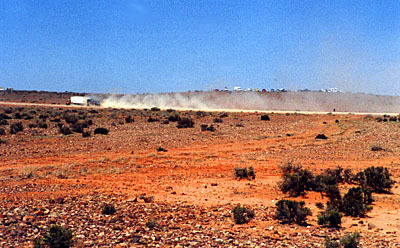 Our landing strip campsite in the giant “dust-bowl” know as Lyndhurst. Lyndhurst (population 25) was lucky enough to be situated directly in the path of the Total Eclipse and had one of the few serviceable landing strips we could use. We arrived the day before the eclipse with the intention of camping for two nights. During the forty hours we were, the stiff southerly wind never let up and it was a struggle to keep the tents from collapsing. Using the gas stove to prepare any hot food was out of the question. 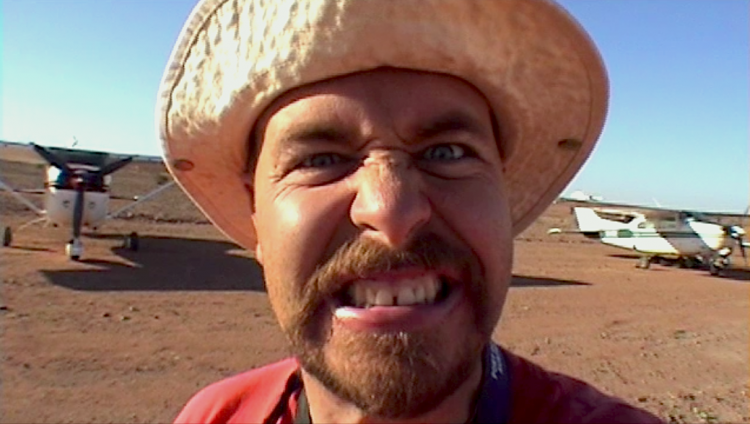 Fortunately for us, the eclipse had brought more visitors to Lyndhurst than it had ever seen in its history and there were truck-loads of food and water available at the Elsewhere Hotel, a tiny Outback watering hole two kilometres behind us! 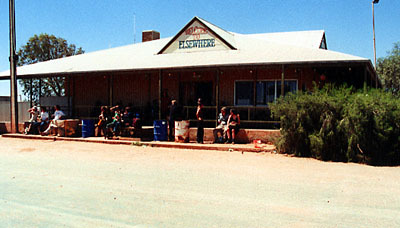 Elsewhere Hotel. Centre of the eclipse universe! 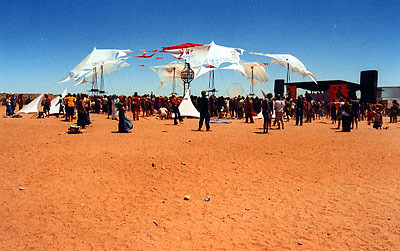 With the thousands of freaky revelers brought in by the well-organized Eclipse Outback Festival, Lyndhurst was a carnival of sights and sounds and celebration. This was a very different energy than my eclipse experiences in Turkey or India which were at sacred archeological sites. But I was loving the change. 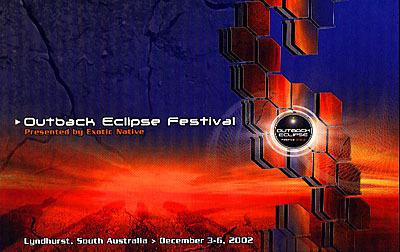 This was truly a giantic eclipse bash complete with 24 hour-a-day trance music, all the food and drink you could desire, and artists and dancers and crafts from 20 different countries! 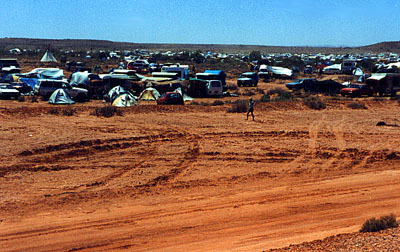 This is what a campsite for 6,000 looks like. 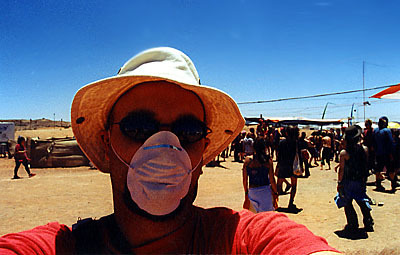 (self-portrait) I’m pretty sure that I consumed about a cup of sand that day. Less than an hour before the eclipse, hundreds of chasers line the road into Lyndhurst as a Festival transport truck kicks up the dust! 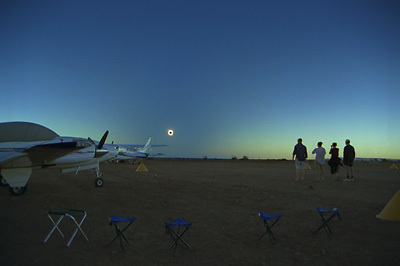 By the time the partial phase of the eclipse had started, more than a dozen small planes had joined us on the airstrip. And we had perfect weather! Blue skies everywhere! Only trouble was that wind. Securing my photo and video equipment took extra work. But it paid off. It was truly gorgeous from Lyndhurst! This was one of the prettiest totalities I have ever seen. It glimmered so much – like it had come tumbling out of a jewel box. I was breathless at how much chromosphere was visible right at second contact. I couldn’t believe it. And the shape of the shadow cone! I’d never seen from inside the umbra at this angle before. It was wild to see it almost bending towards me. I was only just beginning to believe my eyes when the diamond ring burst out again and it was over! My shortest total eclipse ever – 24 seconds! This amazing eclipse gave us the chance to see inside the umbra, the Moon’s shadow, from a different angle. We were so close to the end of the entire eclipse path on the Earth that most of the cone-shaped umbra had already begun to lift off back into space. As a result, we were standing only in the part of the shadow that was still touching the ground. When the eclipse was over we made our way back to the Elsewhere Hotel for their eclipse celebration BBQ and piss up! Watch where you’re going in the dark! I am always in the mood to celebrate after a successful eclipse and so were the Aussies! 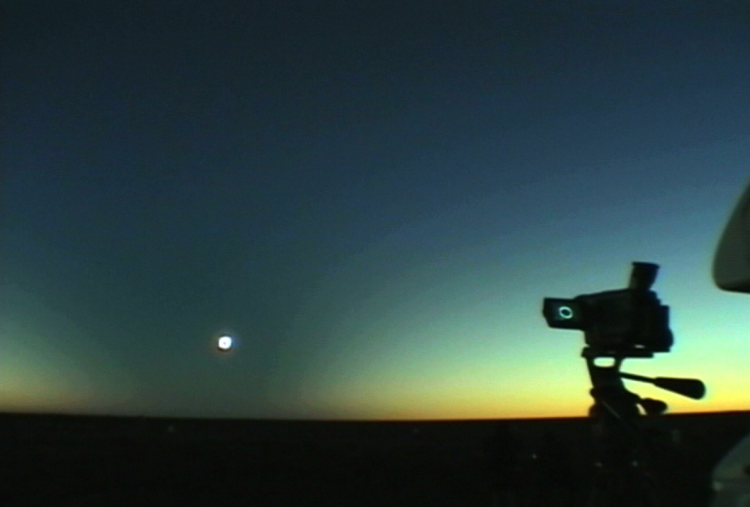 The night-time skies in the Outback were the darkest I had ever seen and I spent hours observing all the wonderful sights of the southern sky including my first ever sightings of the Magellanic Clouds and The Southern Cross rising! 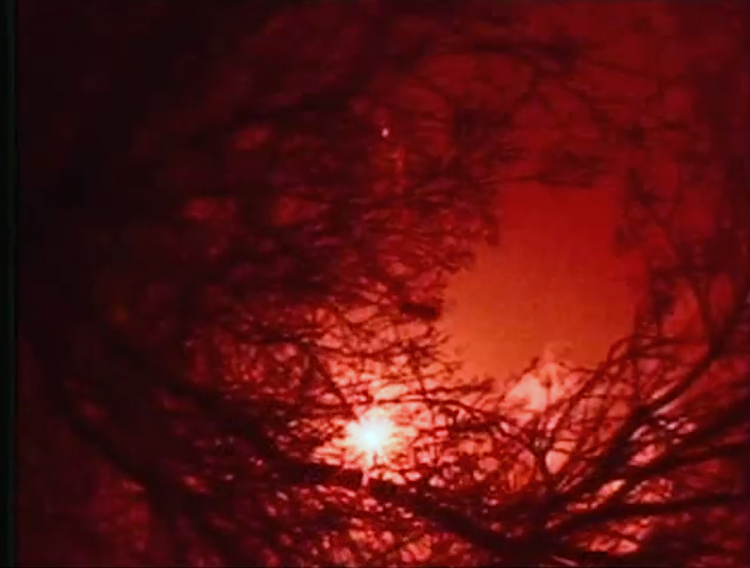 You don’t know dark until you’ve camped in the Outback. Thanks goes to the awesome Australian connection who helped me pull this off! 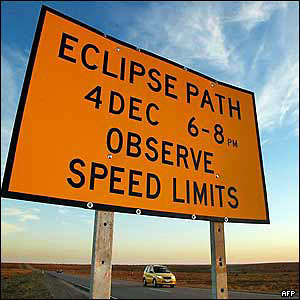 Now I am very busy organizing the next total eclipse chase! See you there?? Eclipseguy in the news in Australia! Catch me on the news in Australia! Killer shot of the Moon's shadow sweeping through the sky! 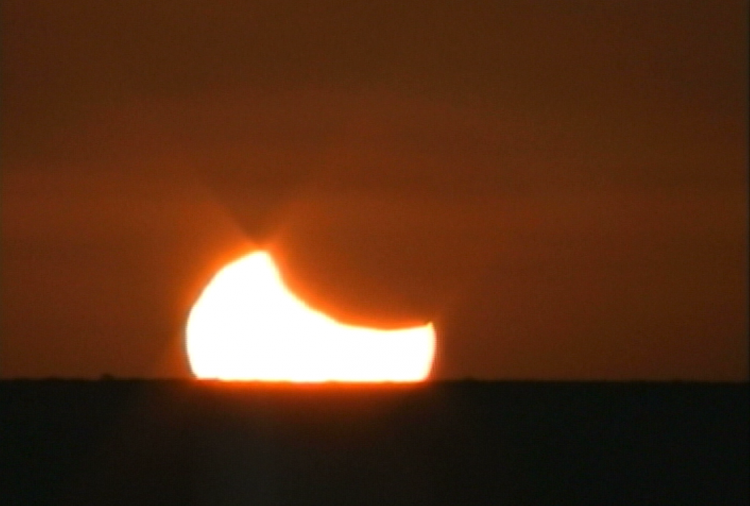 Unique time-lapse film shows the eclipse experience in a new light. Filmed in Venezuela in 1998.